With so many titles to choose from, Netflix Instant's library can be overwhelming. 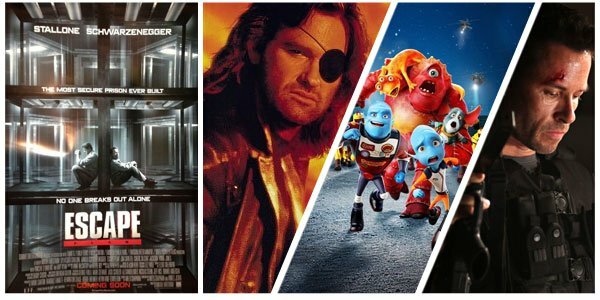 So we bring you this biweekly column as a tool to cut through the clutter by highlighting some now streaming titles that pair well with the latest theatrical releases. Looking to Carrie, 12 Years a Slave and Escape Plan for inspiration, we've pulled together a selection of classic horror, historical epics, and escape thrillers. Kimberly Peirce re-imagines the Stephen King novel about a bullied teen girl whose incredible powers of telekinesis enable her to wreak a terrible and bloody vengeance at prom. Chloe Grace Moretz and Julianne Moore star; Peirce directs. Read our full review here, and our book to movie comparison here. With Halloween just around the corner, it's the perfect time to make a marathon of some seriously gory and scary cinema. Whether it's De Palma's nightmarish look at high school, Polanski's terrifying maternity tale, or Alfredson's chilling first love story, these movies are spine-tingling and hair-raising. 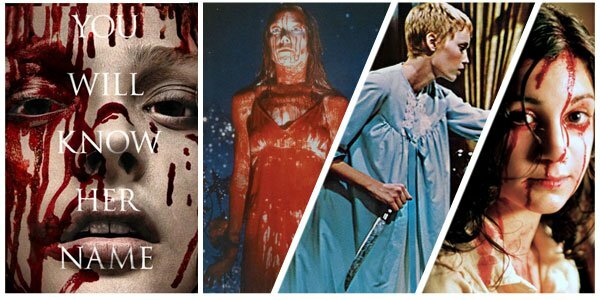 Carrie (1976) In the first adaptation of King's first published novel, Sissy Spacek stars as Carrie White, the titular telekinetic girl whose horrified discovery of her first period leads to a cruel prank that will have deadly repercussions. Spacek and co-star Piper Laurie earned Academy Award nominations for their portrayals of the White family. Brian De Palma directs. Rosemary's Baby (1968) Mia Farrow fronts this devilish tale about the young wife who moves with her husband into a beautiful New York apartment building. Sure, the neighbors are a bit strange and her nightmares have gotten pretty intense but at least she's having a baby! As her pregnancy goes on, she begins to suspect this baby isn't exactly what she wished for. John Cassavetes and Ruth Gordon co-star; Roman Polanski directs. Let the Right One In (2008) This harrowing horror story out of Sweden centers on a lonely young boy who is tormented by bullies. But his life changes forever when he meets a mysterious girl who only comes out at night. Kåre Hedebrant, Lina Leandersson, and Per Ragnar star; Tomas Alfredson directs. Chiwetel Ejiofor stars in this biopic as Solomon Northup, a free man from the Northern US who is kidnapped and sold into slavery in the antebellum South. Lupita Nyong'o, Michael Fassbender, and Benedict Cumberbatch co-star; Steve McQueen directs. Read our full review here. McQueen's drama spans 12 years and a wide range of experiences into one ambitious epic. 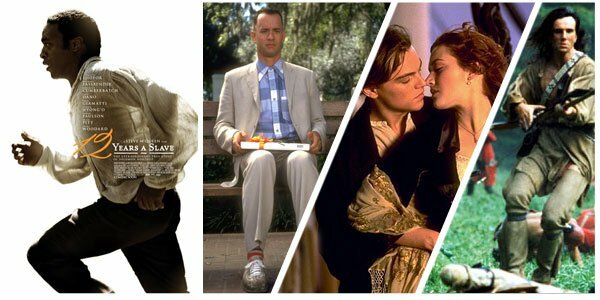 For more life stories on a grand scale, check out these heralded dramas, like the story of a simple man who changed history, a love-sick girl who unlocked the mystery of Titanic, and the last of the Mohicans. Forrest Gump (1994) Tom Hanks stars as the Forrest Gump, a sweet but simple-minded man whose life takes him on an incredibly journey, from a crippled childhood, to an All-American football player, soldier embattled in Vietnam, and unexpectedly brilliant entrepreneur. But through all his highs and lows, the thing that matters most is the girl he's loved his whole life. Robin Wright and Gary Sinise co-star; Robert Zemeckis directs. Titanic (1997) James Cameron presents the grandeur and tragedy of the Titanic in this sweeping love story between two star-crossed lovers. Kate Winslet stars as a beautiful young aristocrat whose dismal engagement to a pompous but affluent businessman (Billy Zane) is forgotten when she finds true love with a blue-collar boy (Leonard DiCaprio) on the world's most luxurious ocean liner. Cameron directs. The Last of the Mohicans (1992) In this historical epic set during the 1757 French and Indian War, Daniel Day-Lewis stars as Nathaniel Hawkeye, a white man raised by Mohicans. When the British army is gathering forces to fight off the French who are attempting to lay claim in America, they turn to the Hawkeye and his tribe. But his loyalties are challenged when this misfit falls for the daughter of a British officer. Madeline Stowe co-stars; Michael Mann directs. Sylvester Stallone stars as a structural security adviser who has designed the world's most secret and secure prison only to be framed for a crime he didn't commit to be trapped inside it. To get out, he'll need his wits…and to team up with a die-hard criminal, played by Arnold Schwarzenegger; Mikael Hafstrom directs. Read our full review here. Few adventure are as thrilling as tales of great escapes. For more tension-filled tales of captives breaking free, check out this trio that offers something classic, something crazy, and something for the kids. Escape from L.A. (1996) In this sequel to Escape from New York (which is not streaming), Snake Plissken is hired by the president of a dystopian United States to sneak into Los Angeles, which has been divided from the main land of the US by a great earthquake and subsequently turned into a chaos-filled penal colony for America's greatest criminals. His mission is to recover POTUS's rebellious daughter and the doomsday device she's run off with before LA's residents make maniacal use of both. Kurt Russell stars; John Carpenter directs. Escape from Planet Earth (2013) For something a lot lighter, try this animated adventure about the breaking out of physical bonds and the strengthening of brotherly bonds. Brendan Fraser lends his voice to Scorch Supernova, an alien and headstrong hero who rushes into the fray without a thought for his own safety. Thankfully, his brother Gary Supernova (Rob Corddry) has got his back when Scorch's signature spontaneity lands him in Earth's Area 51, imprisoned by the nefarious General Shanker (William Shatner). Ricky Gervais, Jessica Alba, Jane Lynch, Sarah Jessica Parker, and Craig Robinson co-star; Carl Bunker directs. Lockout (2012) You think escaping from a prison on an island is hard? Try escaping from a prison in space. Guy Pearce stars in this insane thriller that has elements of all of the above escape-centric features. This out of this world thriller focuses on an innocent man thrown into prison for a crime he didn't commit, who is given a shot at freedom if he can recover the President's daughter who has been kidnapped by criminals so deadly they've been exiled to outer space. How haven't you watched this already? Maggie Grace co-star; James Mather and Stephen St. Leger direct. For even more selections, check out our Now Streaming archive.